You might remember that with our Nintendo challenges a couple of months ago, we invented the concept of being 'pink shelled' after realising that the term 'blue shelled' could be related to everyday things that go wrong (see this post here for an explanation of the Blue Shell Blues). Being 'Pink Shelled' became our way of saying that something good has happened unexpectedly and as Nintendo bloggers we have certainly been pink shelled with some lovely surprises recently. We received these Nintendo cookies unexpectedly as a treat. 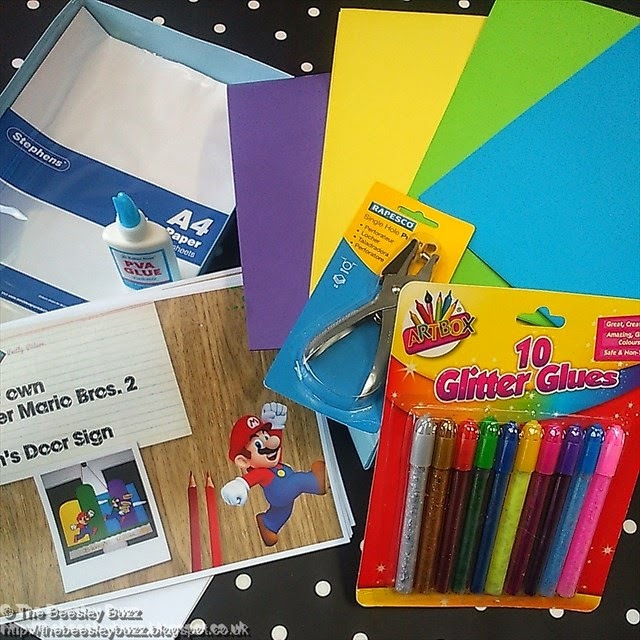 And then another surprise box, this time containing a kit to make our own New Super Mario Bros 2 inspired door hangers. It arrived on the last day of the school holidays so it was perfect timing to beat that end of summer boredom. I'm really pleased with how the door hangers turned out. The kids worked really hard on them. Miss T needed a bit of a helping hand but enjoyed using the glitter glue. 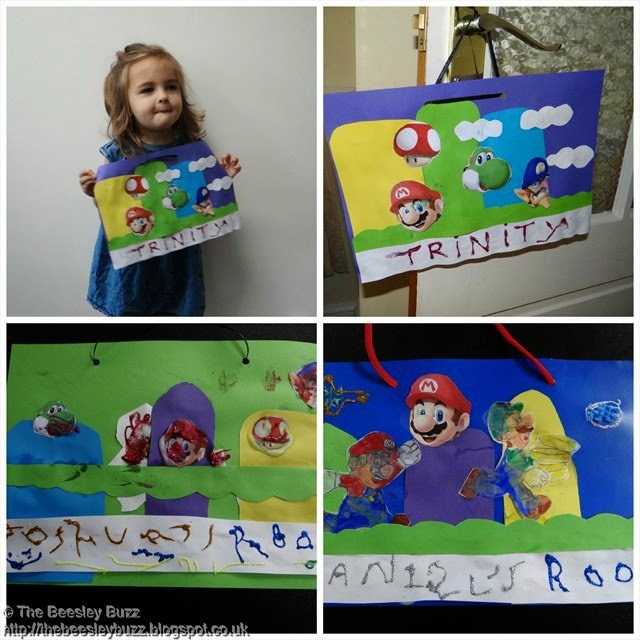 D was the only one brave enough to trace the Mario and Luigi characters to use on his door hanger. He did really well. Thank you Nintendo for giving us so many Pink Shelled moments this summer!